The expert meeting #2 of the Gate Theatre Research Network, “The Gate: Alternative Histories, Marginal Identities”, will be hosted by Charles University, Prague, Czech Republic on 14-15 June 2019. The Gate Theatre Research Network (GTRN) is a collaboration between scholars based in the Netherlands, Ireland, the UK, the Czech Republic, France, Norway, and the United States. Its purpose is to study the Dublin Gate Theatre in various international contexts by analysing its engagement with cosmopolitanism, cultural exchange and identity formation. 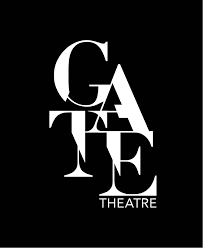 The Gate Theatre Research Network is funded jointly by the Netherlands Organisation for Scientific Research (NWO), Radboud University Nijmegen, the National University of Ireland, Galway, and Charles University, Prague. • Irish-language drama and the Gate. In addition to roundtable discussions and presentations by GTNR directors, core members and advisory board members, scholars who are working on the Gate Theatre and/or comparable theatre companies or institutions across Europe are invited to submit a proposal for a 20-minute paper on any of the topics listed above. Please send your 300-word proposal and 150-word biography to gatetheatre@let.ru.nl by 1 March 2019. The GTNR board of directors will review all proposals and compile the expert meeting’s programme at their discretion.